Lace up your boots and get into the great outdoors. Road trippers are in for a treat at these eateries that will make you want to pull over and stay awhile. Why head to the stadium or even your living room when you can enjoy the big game from the comfort of your own backyard? A brief history of mountain biking in Park City, from rogue trail building and the Tour des Suds to Gold Level Ride Center. 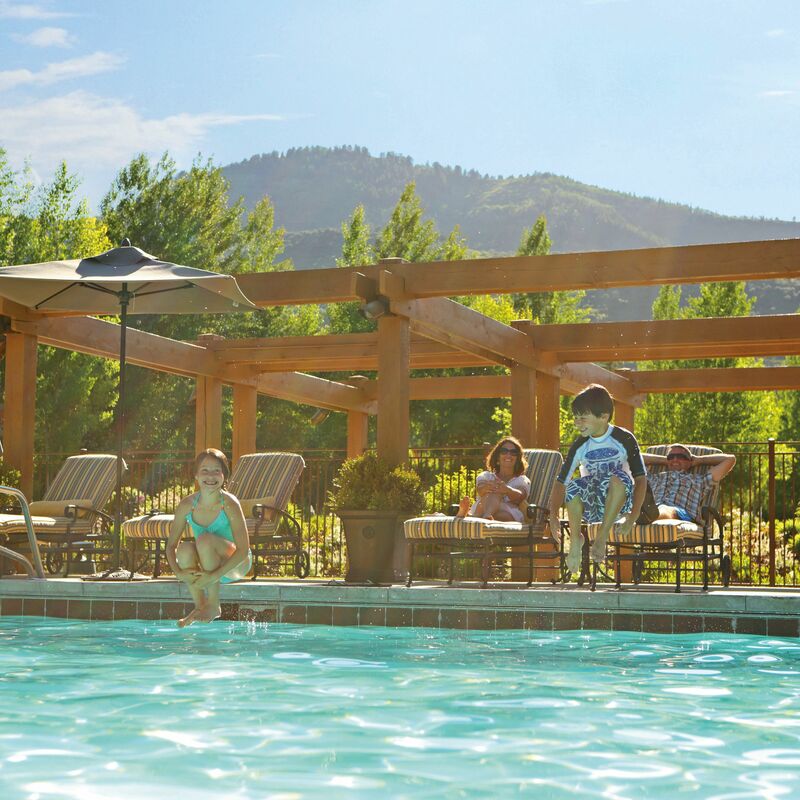 Your guide for a picture perfect experience at Sundance Summer Theatre. Sundance Summer Theatre combines the best of two worlds. Through VR, Parkite Danfung Dennis hopes to finally tap into a storyteller’s ultimate prize: empathy. We dare you to keep your mouth from watering on this indulgent tour of our favorite roadside noshes. Impress your family with these delicious treats from an expert event planner. Everything you'll need to throw the perfect bash on game day. Five local restaurant dishes that elevate this breakfast staple to new heights. Where and how to enjoy this oh-so-summery sipper. 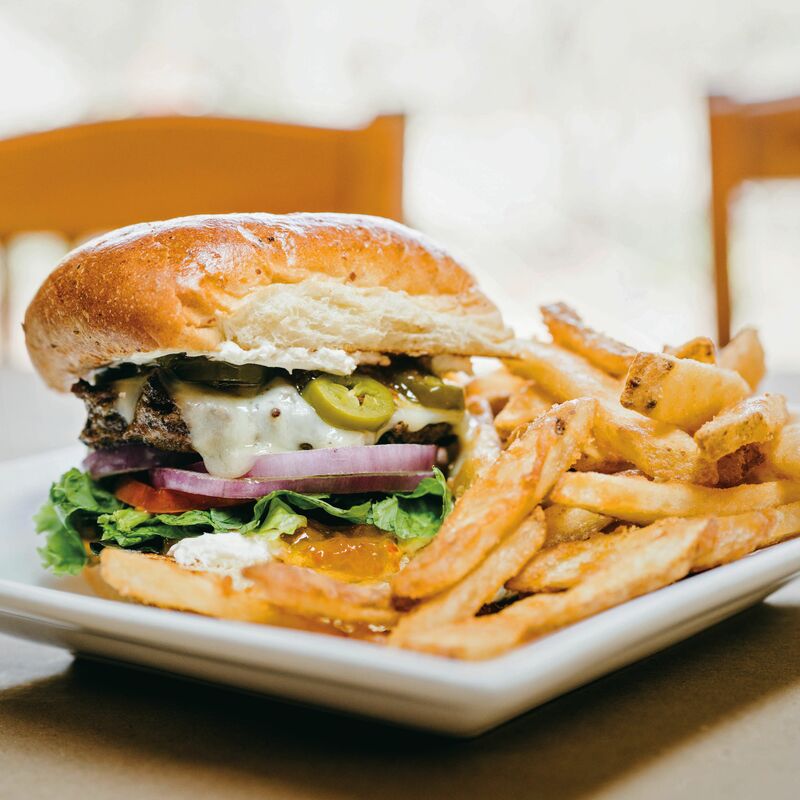 Five locally owned, fast-casual eateries spicing up Park City’s white tablecloth–dominated dining scene. Five cocktails to sip and savor when temperatures start to rise. Park City event planner and owner of Wish Boutique, Emily White, lets us in on her top tips for hosting an easy and memorable soirée. Expert tips and holistic ways to combat the little known side-effects of high-altitude living. Ditch your car and hop on one of these slick e-bikes starting July 14. History meets eclectic modernism in a cozy Park City bachelor pad. A new school, bountiful recreation programming, and lots of singletrack are just a few of the perks of living in Trailside. Send an avian invitation with your landscape and create a haven for Park City’s feathered summer visitors. The “coolest little house ever,” where cityhomeCOLLECTIVE style and real estate guru Cody Derrick goes to recharge his batteries. Tori Saylor finds purpose caring for people's furry friends. 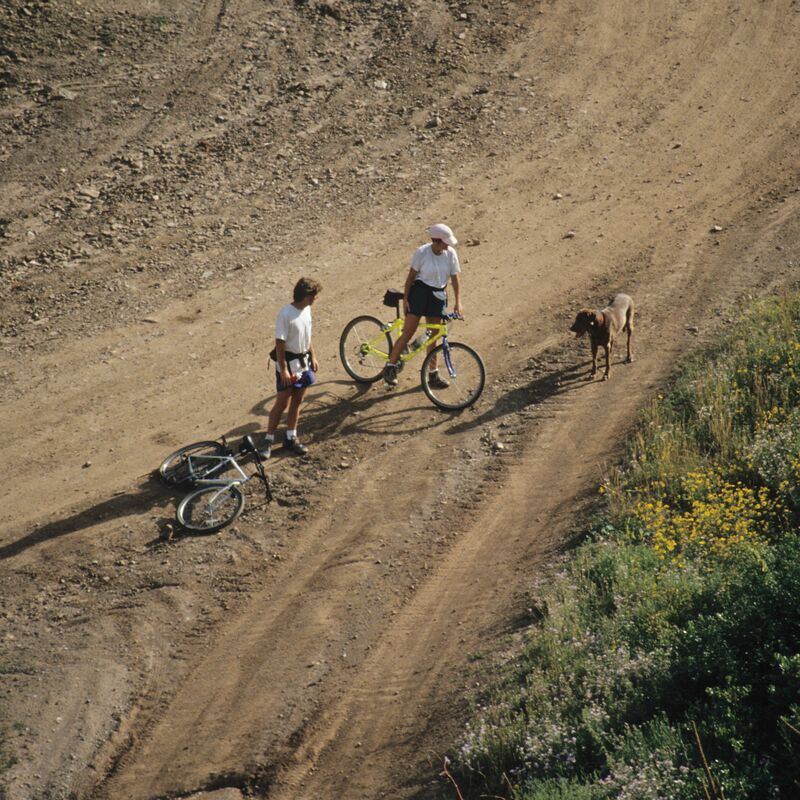 Bob Radke dabbled in just about everything before he became Basin Rec’s trail guru. From spy planes to Park City, how one pilot found his way to the mountains. Park City Rasta man Errol Grant sings his way into our hearts, every day. Swaner Preserve steps up its game to find a humane way to live with Kimball Junction’s community cats colony. Kids’ bodies and minds will be the focus at Woodward Park City's sports training facility. Expert tips on keeping mountain fruit trees in tip-top shape from a woman who knows a bit about forests. 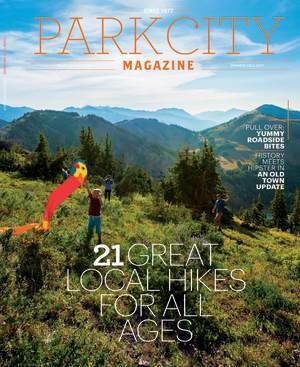 Park City gets two new mountain biking trails. The buzz from local beekeepers on how to help protect the insect responsible for one in every three bites of food we eat. See if you have what it takes to compete against other running-on-dirt enthusiasts. Whether you choose to rough it for a week or drop in for a day, time spent in Escalante is well worth the trip. The National Ability Center expands its reach through a new partnership with Splore. Alexandra Gibson sustains craft and culture with her locally based, globally relevant Sien + Co. The ’70s trend is back but in a form that’s anything but old school. From nature-inspired textures to bold graphics, wallpaper is back in a big way. Travel, adventure, and connectedness all inform the Tutors’ latest obsession. These solar powered sunscreens are on double duty, bringing sun protection up a notch. A 450-guest wedding by Silver Summit Event Design at the Salt Lake LDS Temple and Montage Deer Valley, featuring Tinge Floral, Ciara Richardson, and more. A romantic western-inspired wedding by Michelle Leo Events in the mountains of Heber Valley, Utah, featuring cowboy boots, whiskey, local cuisine, and more. Stars and bows and capes, oh my! Check out some of our favorite bridal styles from the fall 2017 and spring 2018 bridal collections in New York City. Popular rose gold and copper hues create a romantic wedding palette that evokes summer’s sunny afternoons and autumn’s auburn evenings. 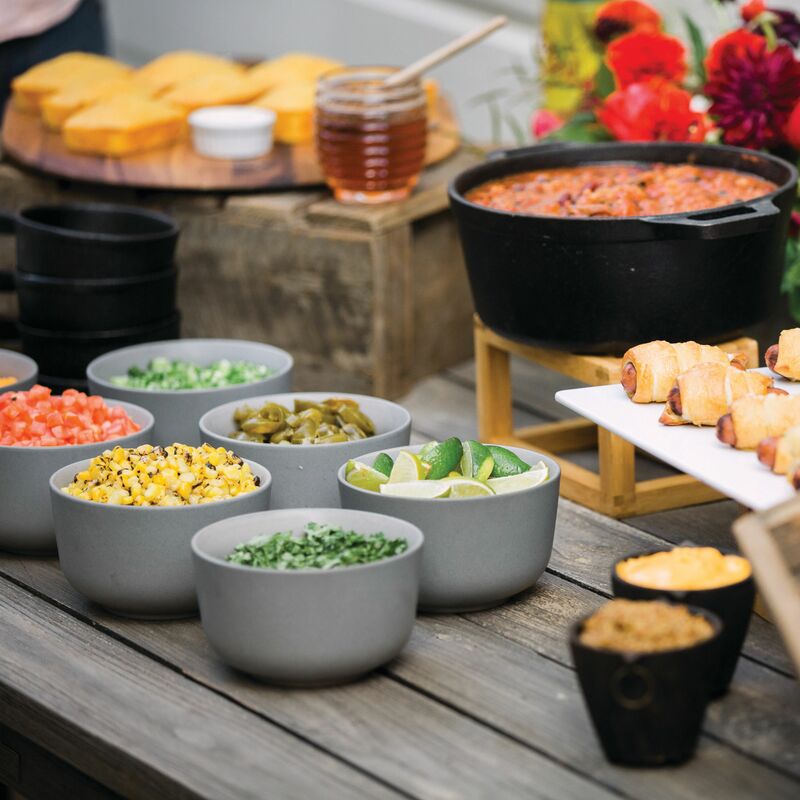 An intimate, casual gay wedding by Silver Summit Event Design at Culinary Crafts' downtown Salt Lake City venue featuring food, fun, and games. A modern, minimal destination wedding by Fuse Weddings & Events, featuring a dinosaur theme, succulent decor, custom temporary tattoos, and more! We got the download from local planners on the top digital tools, apps, and social media tips to help you create a tech-savvy celebration. Accessorize your bridal ensemble with a pair of statement earrings, from big-day hoops and modern pearls to colorful and raw-cut stones. Want your wedding stems to have special meaning? Allie Couch of CosmoMuse shares the best flowers for each astrological sign. Gone are the days of dated French tips—check out the new neutrals for modern bridal manicures from “it” beauty brand Smith + Cult. Local macramé artist Renata Stone of Knottery Fiber Art weaves wedding dreams with her one-of-a-kind, knotted works of art. Two local event designs interpret modern speakeasy vibes at the new prohibition era-inspired food hall and watering hole in downtown Salt Lake City. A roundup of some of our favorite Salt Lake City and Park City restaurants for your engagement party, rehearsal dinner, or wedding reception. Tonal floral hues like blush, lavender, and more create a fresh palette for modern celebrations, from the bouquet to the dress to the big-day details. Local bakers create decadent desserts inspired by hand-painted tapestries from Fox Heron Collective, shot on location at Ember SLC. The breezy beach vibes of Tulum, Mexico, bring an easy elegance to these wedding day looks for brides and grooms shot on location at NEST Tulum.